PRICE REDUCED!!! Incredible location in the heart of vibrant downtown St. Petersburg! Enjoy shopping, waterfront, nightlife, festivals, and museums all within a few blocks! 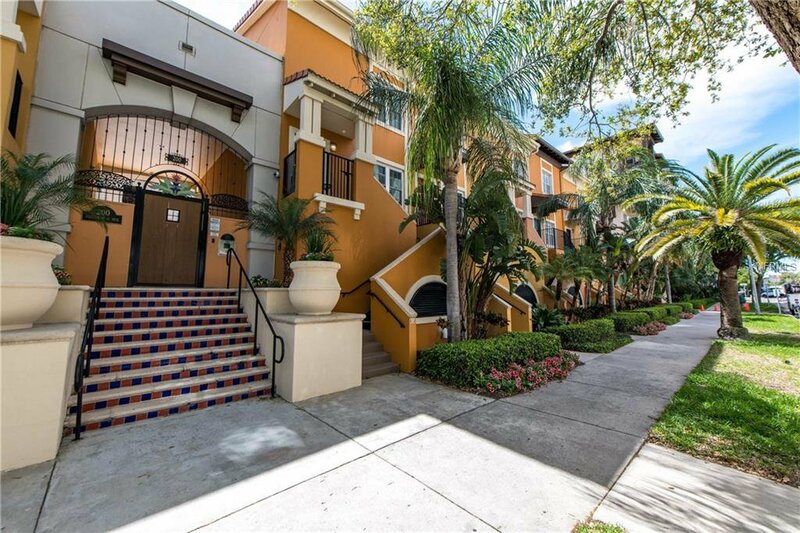 Newly painted, you will love this condominium with TWO MASTER SUITES (each with a walk-in closet) and an open living concept and split plan, and private covered balcony. The kitchen offers a breakfast bar and island with seating for two. The light and spacious living/dining room provides plenty of room for entertaining. Two spacious bedrooms with private en-suite bathrooms and walk-in closets offer a perfect relaxing retreat. Also included are a large interior laundry room, separate storage room, assigned covered and secured parking, along with secured bike storage. Cool of in the infinity edge saltwater pool, or relax with a glass of wine on lounge chairs under the bright outdoor string lights, or by the outdoor fireplace. Other amenities include two outdoor grills, and a newly renovated club room and fitness center. Listing courtesy of DOUGLAS ELLIMAN. Selling Office: CHARLES RUTENBERG REALTY INC.